For their 150th Anniversary, Gilbarco has launched a site which allows you a look into their century and a half of business in the industry. 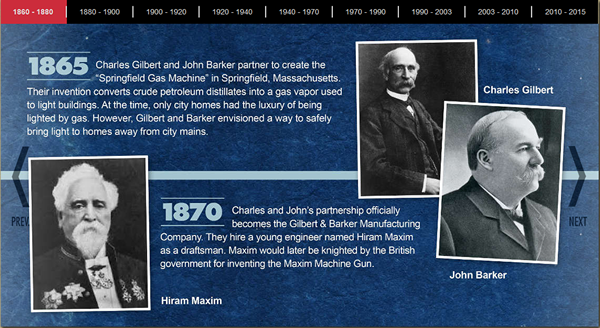 Featured is a timeline and several photos of their various products through the years. 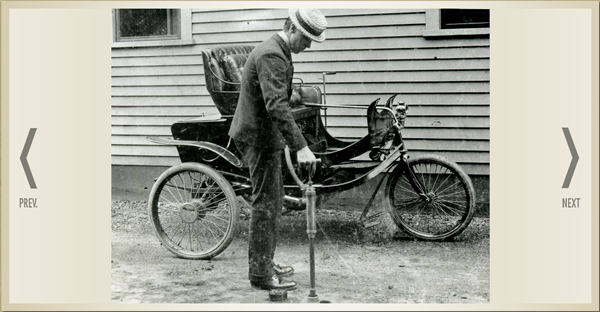 The Timeline details the history of Gilbarco from it’s founding in 1865 all the way to present day, highlighting key moments of the company’s long tenure in the industry during various periods. The Photos section allows you to see images of Gilbarco’s various products new and old, both in the factory and in the field, as well as several of the companies that have utilized Gilbarco parts at their stations. The site also has a Memories section for customers and associates to submit their own experiences with the company, and an Event section which allows them to attend an open house later this year. 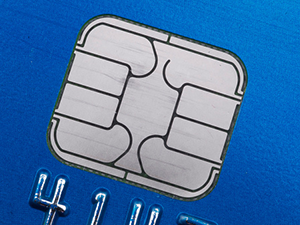 EMV implementation can be an expensive and frustrating endeavor for any retailer. From upgraded equipment to software and technology, there’s a lot to navigate within the established, looming deadlines. For example, in October 2015, the liability for fraudulent transactions from inside the store shifted from MasterCard/Visa to the retail location. That means processing a chip card inside your store without upgraded equipment could make you liable for any fraudulent chip-card transactions. If that’s not enough to make you take action, the same liability shift takes place outside at the fuel dispensers Oct. 1, 2017. By that date, gasoline retailers will need to retrofit or replace pumps to accept EMV or shoulder the burden of any fraudulent charges related to a chip card. Upgrading the forecourt with brighter, more energy-efficient lighting. 2. Have you prioritized your sites? With liability the No. 1 concern, you should prioritize high-traffic sites and locations in high-crime neighborhoods. Creating this hierarchy may soften the economic effect and help you better execute the changeover. 3. Do you have enough bandwidth? The amount of data required to flow back and forth to authorize a magnetic-stripe card is minuscule compared to what’s needed with a chip card. With a mag stripe, only the host processor is involved. With EMV, it’s the card, the terminal and the host. With a mag stripe, it’s static data, and with the chip, a cryptogram is involved. High-speed connectivity via broadband is a must. And don’t forget a backup plan, such as cellular or a secondary carrier. Also, include your dealers if that’s part of your business. Prioritize high-traffic sites and locations in high-crime neighborhoods. 4. What do your site plans look like? Things to consider include number of POS devices and dispensers at each site, wiring needs and whether you’re installing new video screens and running ads to generate income. Work with your distributors to establish individual site upgrade plans so you know what to upgrade and where. 5. What are your financing plans? New financing structures, partners and bankers can help retailers overcome the costs associated with EMV. Consulting with your jobbers or oil-company representatives could lead to brokered plans or trusted lenders. 6. Have you thought about mobile payment? EMV devices are not always equipped with near-field communications (NFC). (Think “tap and pay.”) Adding NFC readers can allow you to potentially accept mobile payments, a real benefit as customers begin to expect this option. 7. Have you reviewed store-level training and procedures for EMV? Prepare your cashiers to educate customers so they know what to expect. This may keep people from leaving their cards behind both inside and outside at the dispensers, but you should initiate a procedure for that too. A great resource for merchant and cashier training is gochipcard.com. 8. Have you planned far enough ahead? Due to the late EMV specification releases, many providers are still getting their devices certified, which is hindering the rollout process. Stay in touch with key suppliers and build those logistics into your execution plans. Also, the longer you wait, the fewer technicians will be available. Only a finite number of trained technicians exist to handle what will undoubtedly be a rush to install EMV leading up to the liability-shift date. Also, you don’t want to be the last one to upgrade in your neighborhood—by then, most of the counterfeit liability will have already shifted to your location. In the end, your decision to move forward with EMV will mean little if you stumble in your execution. Review your options, decide on a plan and move relentlessly toward 2017. If you would like to learn more about EMV and financing options with Patriot Capital, feel free to contact us at 1.800.451.4021.